Gas turbines consume enormous amounts of air which makes their performance sensitive to air quality and the particulates of which it is composed. The need for proper filtration has increased in significance due to the complex designs of today's gas turbines and their need for protection from the elements including dusts, oils, liquids and aerosols which can lead to fouling, erosion and corrosion of the gas turbine components. 2JCP provides an array of filtration solutions tailored to meet the needs of each gas turbine. We have provided inlet filter houses to some of the world’s toughest operating environments. Product offerings include Self Cleaning (Pulse), Barrier (Static) and Hybrid solutions each with a number of filter element options. Our Static Inlet Filtration Systems provide weather protection for gas turbines situated in coastal and moderate inland conditions. 2JCP will design a system which best meets your requirements but typically have pre-filtration, filtration and transition stages as standard parts of the design to ensure optimum performance. The system reduces gas turbine compressor fouling and filters the airflow to the gas turbine to improve the output of your gas turbine. 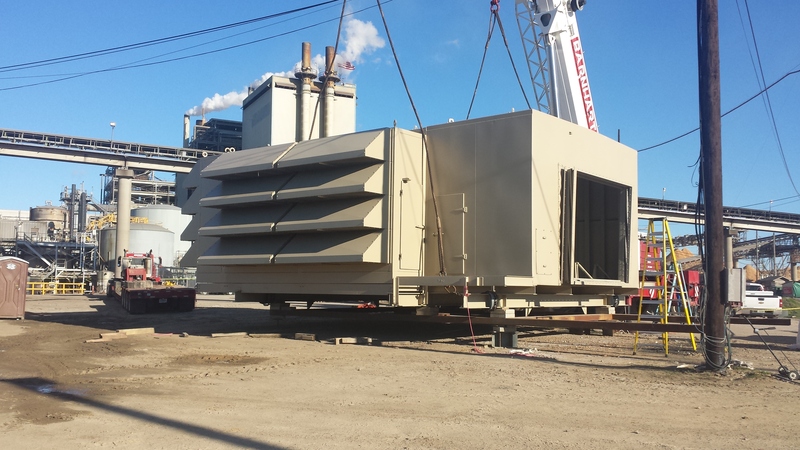 We can customize each system to include weather hoods, anti-ice systems, acoustic silencers, chilling coils, evaporative coolers and any structural steelwork required. We consider GORE® Turbine Filters to be extremely effective at removing liquid in droplet form and salt in dry and liquid form. Their ePTFE filter media will not lose its hydrophobicity with time and performs extremely well in tests and real world applications. We also recommend a dedicated water and droplet removal system in conjunction with GORE® Turbine Filters. The heart of this system is a vane separator. There are many manufacturers of these vane separators and we take an objective view on which will be best for each application. Self cleaning inlet filtration systems - pulse systems - are designed to give robust protection and maintain consistent output from gas turbines operating in challenging environments. Usually incorporating weather protection, pulse filtration and transition as part of the system. 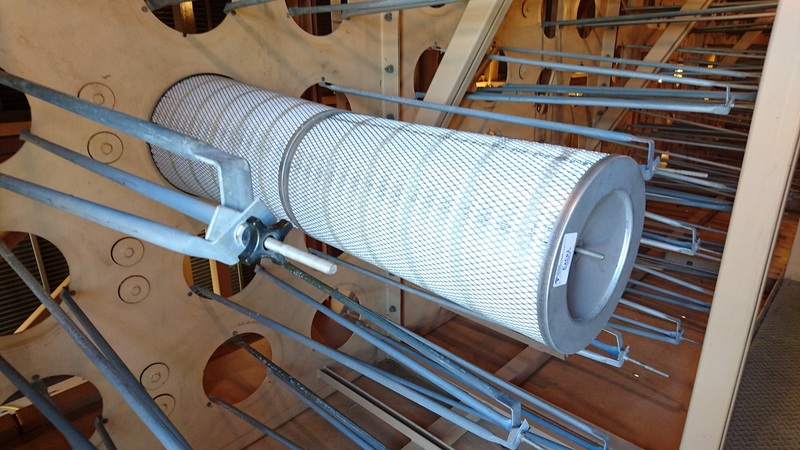 Customization to fulfil the operational requirements of any gas turbine to include snow hoods, weather hoods, chilling coils, evaporative coolers, acoustic silencing, trash screens, insect screens or structural steel is possible. They provide clean, filtered and uniform airflow to the gas turbine ensuring optimum output and plant performance. 2JCP Filter House Upgrades often increase filtration efficiency or filter life. We manufactures systems which include GT OEM approved filter elements for HEPA and non-HEPA projects. Our filtration experts will provide objective filtration analysis and choose the best value filter for the project without bias for a particular manufacturer. Many of our customers are looking to upgrade their systems to utilize HEPA filters to maximize gas turbine performance, reliability and availability in some of the world's toughest environments. We offer best in class filter performance in conjunction with GORE® Turbine Filters. 2JCP is proud to be aligned with GORE® Turbine Filters for high efficiency particulate arrestance (HEPA) applications.